might they damage the wheel arch. 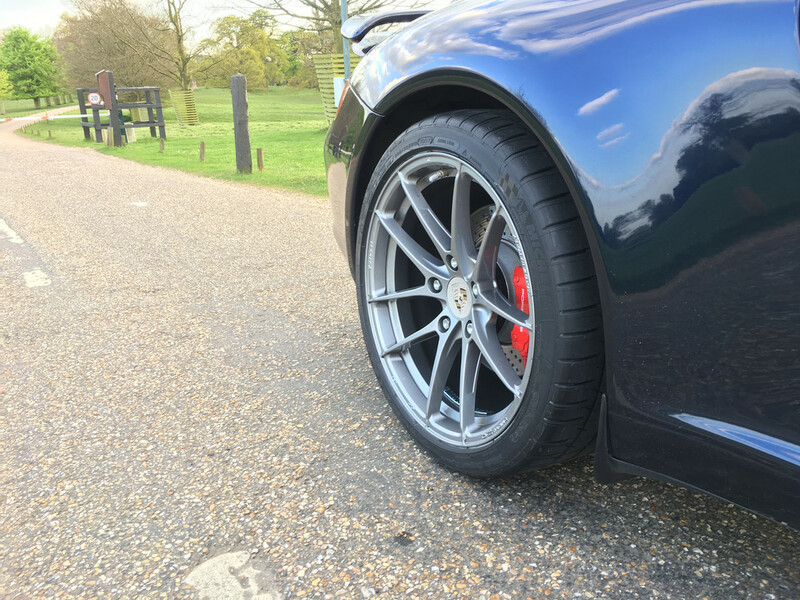 15mm on my 2S with std wheels & 295 tyres brings them right out flush with the edge of the arch, Any more & they would stick outside the arch. 20mm may be a bit much. Try them and if they are to fat send them to me and I will thin them down for you. Free just pay the post. There you go you cant say fairer than that. I'd be tempted to try the old washer stack trick to see how far out the wheel gets pushed before buying. Essentially use washers behind the wheel on 3 bolt locations to act as a spacer. Be sure to put the car on the deck and roll it back and forth a bit to get the ride height back, then see how the wheel and tyre sit. I couldn't even go to 15mm with mine as the tyres with their rims saver edges stuck out and it looked crap. Perhaps if I was another 15mm lower it would have worked, but at -25mm it looked stupid. So I ended up with 5 and 12 rather than 7 and 15 mm spacers which is the norm by all accounts. Also consider how Camber too. Just in case - don't forget you'll need longer wheel bolts to run spacers. I'm running 15mm spacers at the rear with Oz Legerra wheels that have a +2mm greater offset, so 17mm combined, I have just lowered with Ohlins shocks by around 20mm, I reckon you couldn't go much more than this without running into problems. Also, the wider track/stance only looks right once the care is lowered, if not then in my opinion it just accentuates the gap between the wheels and the arch! Rob - is that a turbo spoiler in that pic or just an add effect? Yes it is Jonno, it is no longer on the car though! I had a modified Agency Power twin cone filter intake fitted as you can't use the standard airbox with the turbo wing. I just couldn't get the engine to run properly though so I ended up removing it after having he engine rebuilt. Keep thinking about refitting with a different airbox solution, but not so sure I will.